The 10 Best Wine Bars in Florida! Gather your friends and get ready to let loose—our favorite Florida wine bars are the perfect place to chill out and sample reds, whites and roses. 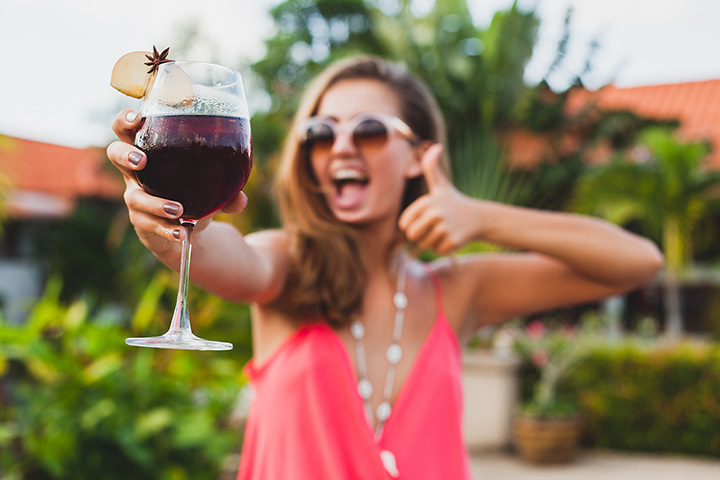 Sip on your favorite wines at our favorite vino venues in the Sunshine State and don’t forget to bring a DD! From flights to bottles these spots have it all. Hand selected with something for any kind of palette, The Wine Room in Winter Park offers an innovative way to enjoy your samples. Their state-of-the-art tasting machines will give you a crisp and fresh drink every single time! Load up your wine tasting card to easily swipe and instantly access over 156 wines. Not all at once, of course! Blending the unique cultures of Europe and South Florida together, this Coral Gables-based wine bar offers its patrons stellar wines and tasty bites to pair them with. Whether you’re popping bubbly or sipping on something smooth Uvaggio will have your perfect selection. Cheese is arguably one of the best things to snack on while drinking your favorite wine. At Cheese Please just choose the make your own flight option, ask your server to assist you with a pairing fit for yourself and you’ll definitely want to come back for more. This is a great spot for a celebration or girl’s night out! If boutique wines spark your interest, you’ll love this matchless wine bar in Orlando. Authentic original décor and over 45 wines to choose from will create a great atmosphere to drink and enjoy with your friends. Influenced by Asian and French cuisine, Blanc is a fun and trendy spot to grab a bite and a glass of wonderful wine. The overall experience at this restaurant will make it a top spot on your list when you want to go out to eat and drink! Browse Vinos in the Grove’s extensive wine list and choose whatever bottle or glass you’d like and you can’t go wrong! With an ever-changing selection, you can always try something new if you would like. Don’t forget to order a cheese plate for a light snack. This Orlando wine shop and tasting room is a great spot to come together and enjoy quality bottles of wine to go or in the store. Sign up for their wine education program to dive a little deeper and learn about what goes into making your favorite grape-based drink. Traveling Corks is known for being a cute little shop that serves only family owned wines from all over the world. If you’re looking to host a small party with close friends then this is the perfect venue! In Jacksonville, The Well Watering Hole “encourages lots of laughter.” This friendly and fun space boasts a great wine menu and is the perfect spot to bring friends or make new ones. Established in 2001, this wine bar has been a favorite among those in the Central Florida area ever since. Here you’ll find a vast wine list, beer list, brunch and dinner menus to pick from. It’ll be close to impossible to choose just one glass, so let loose and try a few! View more Florida Bars and Saloons.